In 1982, brothers Chris and John Sullivan founded a company to do what they loved: building things. Not just building buildings, but building relationships and building teams that endure to this day. 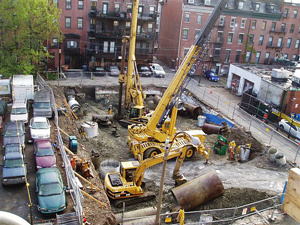 In those three decades, Bilt-Rite Construction completed hundreds of successful projects –residential, historical and municipal—in the greater Boston area. Talk of teamwork can sound clichéd, but it’s the basis for our success. We hire the best people and treat them well. We’re loyal to our people, loyalty that is repaid time and again. We expect the best of our employees and we get it, which pays off handsomely for our clients in superior workmanship and attention to detail. Behind the scenes, away from the dust and construction noise, our estimating team members are the unsung heroes behind successful projects. Knowing where every dollar goes is critical. We’ve worked on dozens of building projects with extremely tight budgets. Many times, our value engineering expertise has been the driving force in making the project a reality. The teamwork philosophy applies equally to our subcontractors, many of whom have been with us for a very long time. From the beginning, we made an effort to include women and minority owned firms as part of our team. These subcontractors are chosen for their high standards, skill and expertise, not to satisfy a MWBE quota. Our documentation process is efficient from the early stages of bidding through final completion. Our estimators, project managers and accounting department work closely with the development team to provide accurate and timely documentation on projects throughout the construction process. Above all, our commitment is to our owners to provide a high quality product on time and on budget. We have roots and a long history in Boston, and we treat every building, no matter how big or how small, as an expression of our commitment to our community. We have selected a few key projects to feature on our website. We encourage you to click around, see what we’re all about and give us a call. 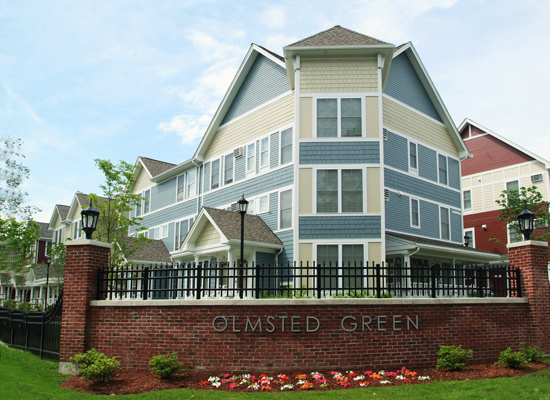 Bilt-Rite’s expertise in value engineering, as well as its strength in minority subcontracting, contributed to the success of Olmsted Green. 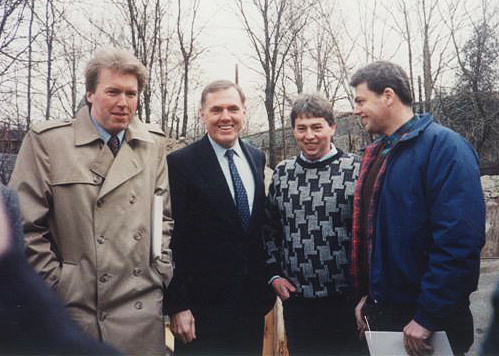 Brothers Chris (right) and John Sullivan (at podium) are longtime Bostonians with a deep commitment to the community. We’ve become experienced in working in tight urban spaces, solving logistical issues with traffic, parking, materials delivery and neighborhood disruption.